Udaipur World Music Festival's previous seasons. 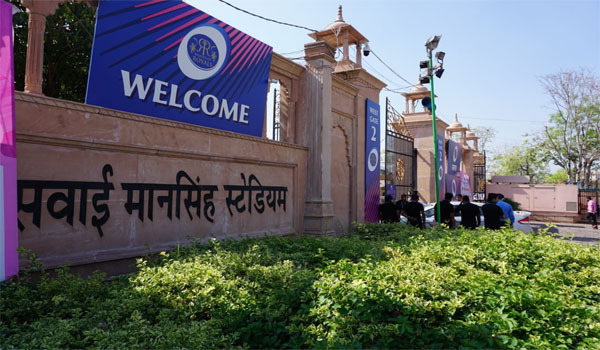 Jaipur: The Lake city of Rajasthan -Udaipur– is all set to host the fourth edition of internationally acclaimed ‘Udaipur World Music Festival (UWMF) 2019’ from February 15 to February 17. The three-day long music festival is a blend of cultural diversity, vibrant live performances, traditional Rajasthani art and different genres of music presented with a backdrop of serene lakes. The annual music festival of Udaipur -organized by SEHER in support with Rajasthan Tourism- was launched in 2016 and completed three editions. The third edition was rated as India’s top Music Festival. The festival featured over 150 artists including Grammy Award winner, Dobet Gnahore, The London Community Gospel Choir, Txarango from Spain, Hot water from South Africa and other in the last seasons. It witnessed a tourist footfall of over 50,000 visitors. The number is expected to rise this time. The festival celebrates different moods of the day through the performances such as the early morning stage has meditative music while the afternoons are spent beside the lakes which personify romantic music at its best. The evening stage brings together people from all age groups and sections of society with energetic youthful music. The festival is a treat for music lovers. The entry to the event is free. The three locations of the event in the city are Amber at Amet Haveli – Ambrai Ghat, Fateh Sagar Paal and Gandhi Ground.